…with some Cover From Distractions….This Crapola Continues… – A Nibble – A Bite – or a Meal! In an internal email sent last Friday, Housing and Urban Development Secretary Ben Carson announced to his staff that after just seven months at the agency, the assistant secretary for administration, Suzanne Israel Tufts, was moving over to the Interior Department to be the acting inspector general. Acting inspectors general do not need Senate confirmation. Tufts, the White House and the Interior Department press office did not respond to requests for comment. HUD Assistant Secretary for Administration Suzanne Israel Tufts. Tufts, a long-time Republican attorney who has worked for multiple New York law firms, would be replacing Deputy Interior Inspector General Mary Kendall. Kendall has been running the agency’s watchdog investigations and audits team of 265 employees for 10 years. Tufts’ previous experience includes working for the Trump campaign recruiting and training lawyers deployed by the Republican National Lawyers Association to watch the polls on Election Day 2016, according to her resume obtained through a freedom of information request by the American Oversight watchdog group and shared with NBC News. 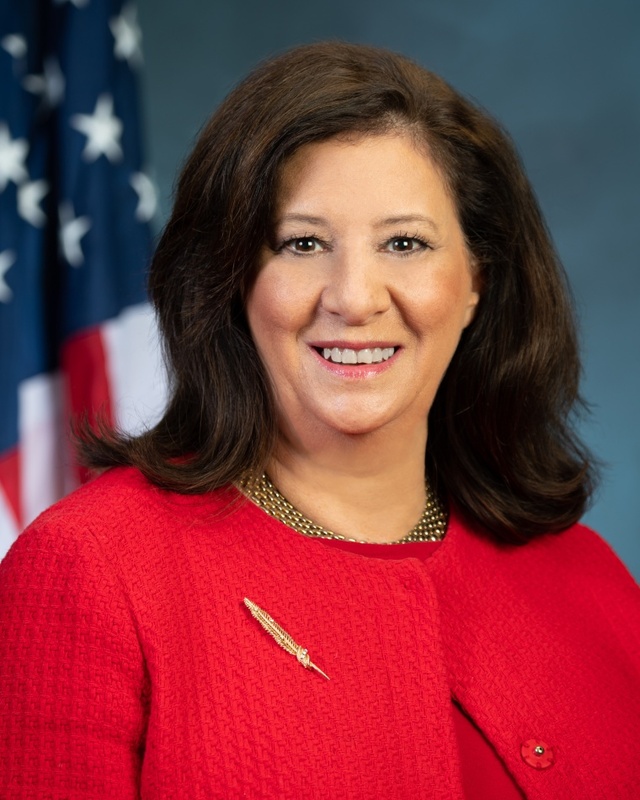 Danielle Brian, executive director at the independent government watchdog group Project on Government Oversight, expressed concern over the move. “We are particularly worried that she’s a political appointee without any obvious government oversight experience,” Brian said, referring to Tufts. Arizona Rep. Raul Grijalva, the top Democrat on the House Natural Resources Committee, offered a scathing assessment of the plan to replace Kendall. “Secretary Zinke and the Interior Department are awash in wave after wave of scandal and corruption, and they decide now is the perfect time to get rid of the current IG,” Grijalva said. 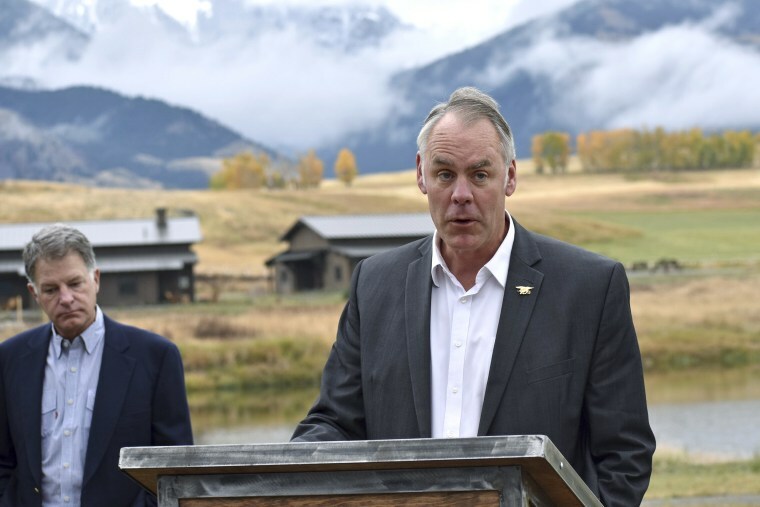 One of the investigations under Kendall is focused on a real estate arrangement in Zinke’s hometown of Whitefish, Montana, involving his wife, a charitable foundation he started and the executive chairman of Halliburton. Zinke reportedly resigned from the foundation this year. Kendall began her investigation after published reports by Politico. Grijalva also sent a letter requesting a review. The other ongoing investigation is into a decision by Interior to block a request from a Connecticut Native American tribe to open a casino. The state’s two senators, Chris Murphy and Richard Blumenthal, both Democrats, asked the Inspector General to investigate claims that MGM Resorts International successfully lobbied the Interior Department to stop the development. Senate lobbying records show that MGM has been actively lobbying the Interior Department on tribal gaming. In late May, the agency signaled that it would reverse course and not stand in the way of the project, but NBC News has confirmed the Inspector General’s investigations into both matters are ongoing. 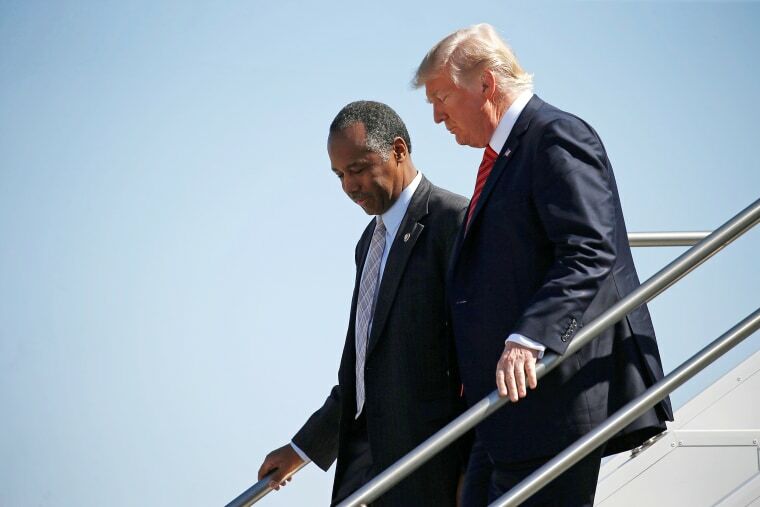 U.S. President Donald Trump and U.S. Secretary of Housing and Urban Development Ben Carson descend from Air Force One in Reno, Nevada on Aug. 23, 2017. Tufts, in addition to her legal work, has also worked at the Corporation for National and Community Service under President George W. Bush, according to her Linkedin page. She still appears to be employed by HUD, according to the agency’s directory. A woman who answered Tufts’ phone Tuesday said she was not in.